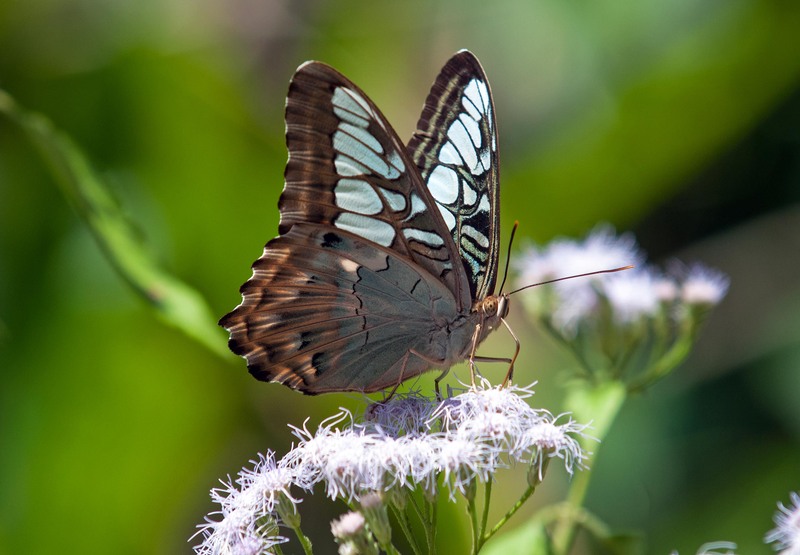 The Clipper (Parthenos sylvia), is a common butterfly of forested areas in South and South-East Asia. The species occurs over a huge area: from India and Sri Lanka in the west; through Myanmar, Thailand and Malaysia; onto the islands of Borneo, Sumatra, the Philippines, Sulawesi, Java and Bali; and as far east as Papua New Guinea. There are however, at least 35 different subspecies distributed across this wide swath of territory (1). 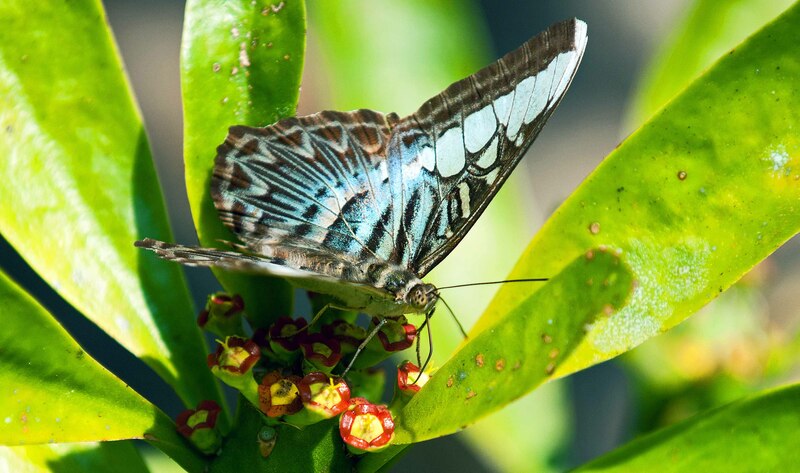 There are two subspecies found in Thailand; the pictures shown here were taken in the north, in Doi Chiang Dao, Chiang Mai province, and show Parthenos sylvia subspecies apicalis, which is bigger and bluer than the other subspecies, Parthenos sylvia subsp. lilacinus, found in the south. All of the different subspecies have similar patterns, with prominent (hyaline discal) white spots on a dark background; the basal parts of the wings (nearest the body) vary most in colour between the subspecies, with blue, green and yellows. 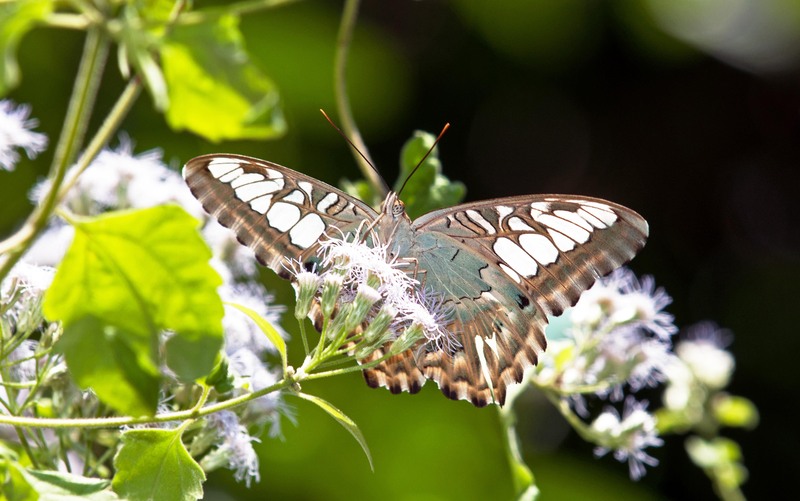 For example, four Indian subspecies are shown on the Butterflies of India website (2). The Clipper was first named for science by a Dutch entomologist called Pieter Cramer in 1775 (3). Cramer was a wealthy wool merchant who lived in Amsterdam (4). There is a beautiful illustration of this butterfly in his book called De Uitlandsche Kapellen (or to give it its full name in English: Exotic butterflies of three continents of Asia, Africa and America) which is available online via the The Biodiversity Heritage Library (4). The colour plates in these four volumes are by a Dutch artist, Gerrit Wartenaar Lambertz (1747-1803), whom Cramer commissioned to illustrate the insects he was naming and writing about. The Clipper – which he called Sylvia – is mentioned on page 68 of Vol. 1 of the De Uitlandsche Kapellen, and is illustrated on Plate XLIII (i.e. 43) in two coloured figures (F-G) (reference 4 and below). Sadly, Cramer died before all of the work was completed, but he did live to see the first volume appear in print. I find it extraordinary that we now have, in the Internet Age, the ability to see and browse these rare books. Original illustration of of Parthenos sylvia from Cramer, P. & Stoll, C. (-1779-82) De Uitlandsche Kapellen. Courtesy of the Biodiversity Heritage Library. The butterfly shown in this original plate (above) is brownish-yellow on the upperside, and is described [in the French text] as coming from the Coromandel Coast, which was then an area on the east coast of India and a governorate of the Dutch East India Company (it is now the Indian state of Andhra Pradesh). He also mentions that is also found in Ambon (Indonesia), indicating that he was aware of the fact that it clearly had wide distribution. Cramer was a collector of butterflies and moths, particularly from areas of the world where the Dutch had colonies and trading links. I don’t suppose he, or his artists, ever saw these wonderful butterflies in the field, which is a great pity. The artist, Gerrit Wartenaar Lambertz, was reprotedly requested to illustrate the specimens in his cabinet ‘in a natural style and with great care’ (6). He certainly succeeded in achieving that. Finally, for those that are interested, this butterfly is always to be seen – at least in my experience – at Wat Tham Pha Plong, which is at the end of the road, below the mountain at Doi Chiang Dao, north of Chiang Mai. 2. Saji, K., H. Ogale, and R. Lovalekar. 2015. 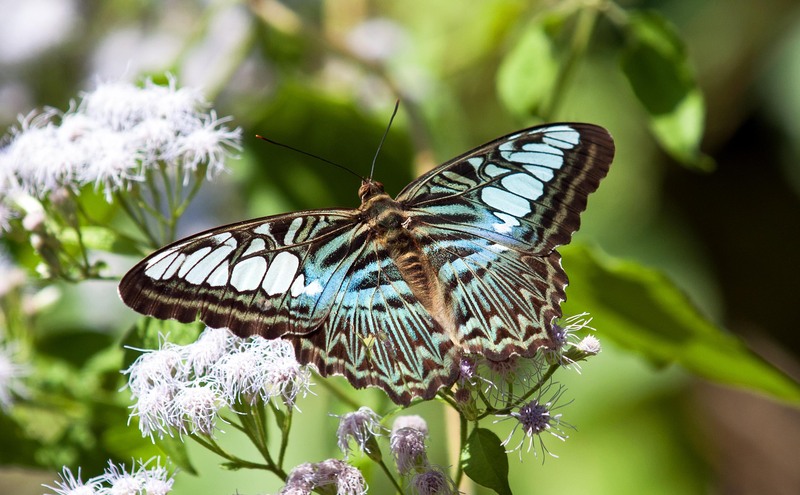 Parthenos sylvia Cramer, 1775 – Clipper. Kunte, K., P. Roy, S. Kalesh and U. Kodandaramaiah (eds.). Butterflies of India, v. 2.10. Indian Foundation for Butterflies. 3. 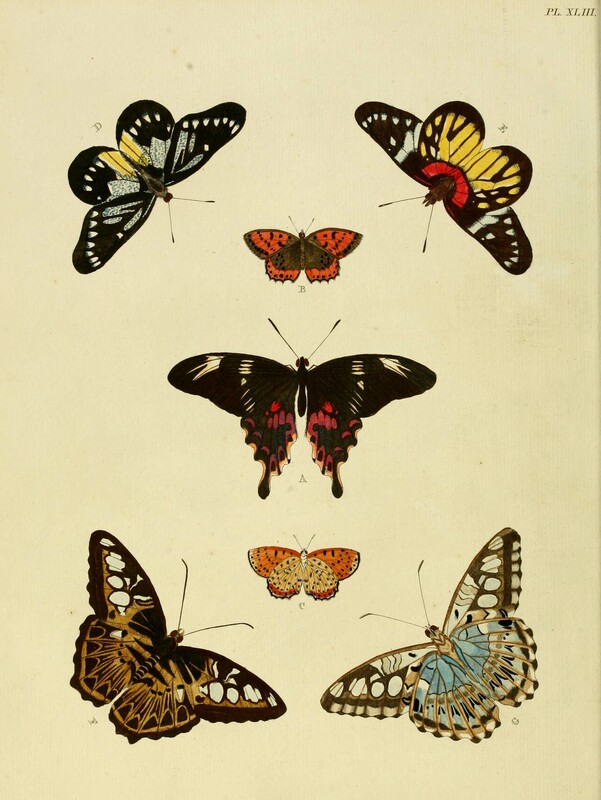 Cramer, P. & Stoll, C. (-1779-82) De uitlandsche Kapellen, &c = Papillons exotiques des trois parties du monde, l’Asie, l’Afrique et l’Amâerique, &c. S. J. Baalde & Barthelemy Wild: Amsterdam and Utrecht. 4 vol.